It was with great sadness that I learned of Dr. Atamjit’s death, just days after the memorial service for Ajeet Singh Matharu, one of his seemingly lackadaisical students. Ajeet was 26; Dr. Atamjit was 76. He passed away of a heart-attack on Friday, November 12, 2010 at his home in San Jose, California. He is survived by his wife, Swaranjit Oberoi, and his son, Colonel Pankaj Punit Singh. Dr. Atamjit Singh is known primarily for being a pioneer in the promotion of college and university level Punjabi courses and for institutionalizing entire Punjabi programs at top tier universities like U.C. Berkeley and San Jose State University. 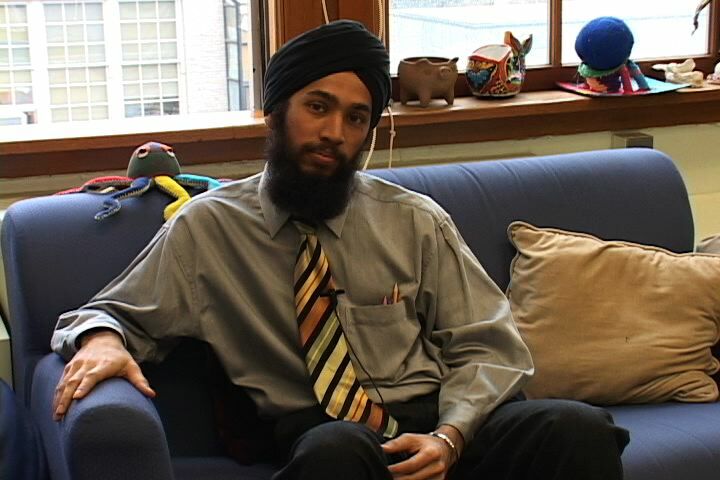 He has taught Punjabi at Tokyo University in Japan, Thailand, the United Kingdom, and all over the United States. Prior to going abroad, he was a full Professor and Chair of Punjabi Studies at Guru Nanak Dev University in Amritsar, Punjab, India. But what is often glossed over is the focus of his Ph.D. He received his doctorate from the University of Delhi where he analyzed the poetic compositions of Guru Arjan Dev, the fifth Guru of the Sikhs, in the context of Shringar, a Sanskrit term which is complex in its meaning, but basically refers to atmospheric love, beauty, and aesthetics. Over the years, he has written many scholarly articles, research papers, books, attended conferences, and made presentations on various aspects of Punjabi literature. In addition to Gurmukhi, the written form of Punjabi in India, he had also studied Shahmukhi, the written form used in Pakistan, was well versed in Urdu, Persian, Hindi, Bengali, and had a working knowledge of Sanskrit. The reason I mention all of these details is this: how many internationally recognized Professors of English literature do you know who teach introduction to writing? Can you imagine Waris Shah, the reknowned Punjabi poet, teaching a basic Punjabi course rather than a course discussing nuances of his poetic metering and rhythm? The point I’m making is that Dr. Atamjit was a literary scholar and yet he deemed it important to teach the kinds of courses that most people of his caliber would refuse to teach for various reasons. His vision for the status of Punjabi literature expanded beyond his lifetime, and many of his students have taken this message to heart. But something must have stuck in his mind because years later, Ajeet felt that learning Punjabi was important, and went to India during the summer to specifically study it at Punjab University for six weeks. I am sure that he had students like himself in mind when he taught high school in the Bronx for two years; students who weren’t connecting to the material. And he found a way to bridge that gap. As an instructor of English, and with a father who is a Punjabi poet and singer, I have taken the lessons from Dr. Atamjit to heart. I often use Punjabi poems in my classes to expose students to non-western poetic traditions. Dr. Atamjit has done a tremendous job in creating the infrastructure for Punjabi language programs, but it is now time for the younger generation to step up and continue to work towards the vision that Dr. Atamjit and his contemporaries have set into motion.